The scorching 40+ heat of the Delhi summer evidently leads to a tremendous load on the city’s energy supply. This is especially because the rising standard of living over the past few years, coupled with more intense summers has led to a tremendous shift from water coolers to ACs across the NCT of Delhi. The ever increasing population of Delhi is another factor which makes the the energy demand go up each consecutive year. This increased pressure on the energy infrastructure furthers its impact on the environment by increased pollution and enhanced carbon emissions. Since the government is not able to match the pace of infrastructure development with the rise in demand, people often have to face severe power cuts. Those who can afford, adapt by installing inverters, etc. to keep themselves cool and comfortable. 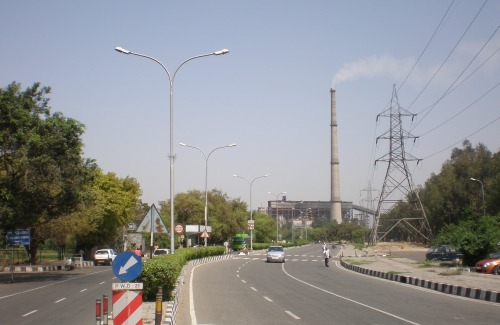 The need of the hour in the Delhi summer is thus laying a greater emphasis on Energy Use and Efficiency. The latter is also one of the eight action points of the National Action Plan on Climate Change (NAPCC) released by the Prime Minster of India last year. Since energy conserved is equivalent to energy generated, ensuring energy efficiency is half the work done. Remember Earth Hour, where the theme is not just to turn the lights off for one hour but also to switch off all unnecessary lighting and equipments, we must strive to achieve an Earth Hour every single day especially during the summers. We must ensure that we use as much of natural lighting as possible and turn off all appliances and electronic devices that are not required. ACs should be used wisely and should be turned off when not required and kept at a reasonable temperature, not too low that instead of beating the heat, individuals start feeling cold! One must wear light and take a lot of fluid to maintain a natural comfort level in the body. One must also not get habitual of needing an AC even when it is not really required. The Earth needs us today, so it can be there for us tomorrow. Let us all take the pledge of ensuring energy efficiency on this Earth Day 2010, and in that, ensure a clean, bright today and a more secure tomorrow.